Why Do I Love Playing World of Warships? 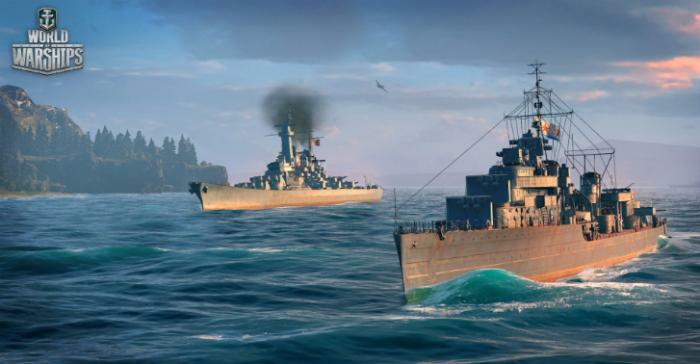 Rate this Article World of Warships is Wargaming’s amazingly realistic take on naval warfare, and honestly, we can’t ask for anything better. Battleships, once the main predators of the of the high seas, are nothing more than historical artifacts today. Sure, they were feared back in the past, but today, they have been replaced in favor of smaller, agile, and missile-armed ships who have longer range and a more devastating payload. You never see battleships today: their use is way past overdue, and this makes me a bit sad. At their time, they were fearsome yet beautiful machines. However, this has not stopped battleship lovers, like yours truly, from being huge fans of these steel sea behemoths. Thanks to World of Warships, I’ve been able to take command of my own ships, sail them into battle and fight honorably alongside my comrades. With that said, seeing enemy ships on the horizon is both a scary and exciting feeling. You’re finally going to have your cannon’s barrels heat up, but at the same time, receive fire from the opposing team. The beauty of World of Warships is it allows its players to relive the past naval battles, which are arguably more difficult and exciting, at least from a spectator’s perspective. Ships fight head-to-head, with only several kilometers separating them from each other, using large guns which fire off salvos of cannon shells. This is a far cry from today’s naval battles, which are fought hundreds of kilometers apart while using missiles and other long range weaponry. The tactical skill required to be a success story in World of Warships is pretty high. Though I admit that mine isn’t particularly advanced, I’m aware that you should not mindlessly fire your cannons on ships that are way too far from you. Instead, you need to use timing, a little math, and hours of experience to hit your targets more accurately as they inch closer. More often than not, you will end up missing horribly, like I was when learning the ropes. Basically, the firing mechanism in the game is quite simple: click on enemy ships to aim and click several times to unleash the fury of your main guns. However, hitting them isn’t as simple as other modern first-person shooters. If you’ve played World of Tanks before, you know how it will go: you need to take into consideration the “bullet drop” (in this case, “shell drop”) and where your target will sail in the event that he sees you shooting at him. This is one of the factors that makes the game absolutely fun, at least for me. The feeling of euphoria when you successfully land a shot or two is exhilarating and the same can be said of your plan to sneak behind another battleship, thus leaving it vulnerable, worked. Moreover, the uncertainty of what will happen to you if you’re surrounded, and the decision process of what you’ll do when you are is something worth experiencing every day. Wargaming made an excellent masterpiece: a historical naval battle simulation game with ships of the days gone by way that you can enjoy with countless other players. And yes, I love World of Warships, and maybe you should too.